Prefix® herbicide offers the proven performance of fomesafen combined with S-metolachlor for superior management of grass and broadleaf weeds in soybeans and cotton. Its extended residual activity helps to maintain clean fields and increase yield potential throughout the season. Application flexibility enables Prefix to be applied either pre-emergence or early post-emergence in soybeans. Boundary® herbicide can be used as a pre-emergence treatment when used in a system with Prefix in soybeans. 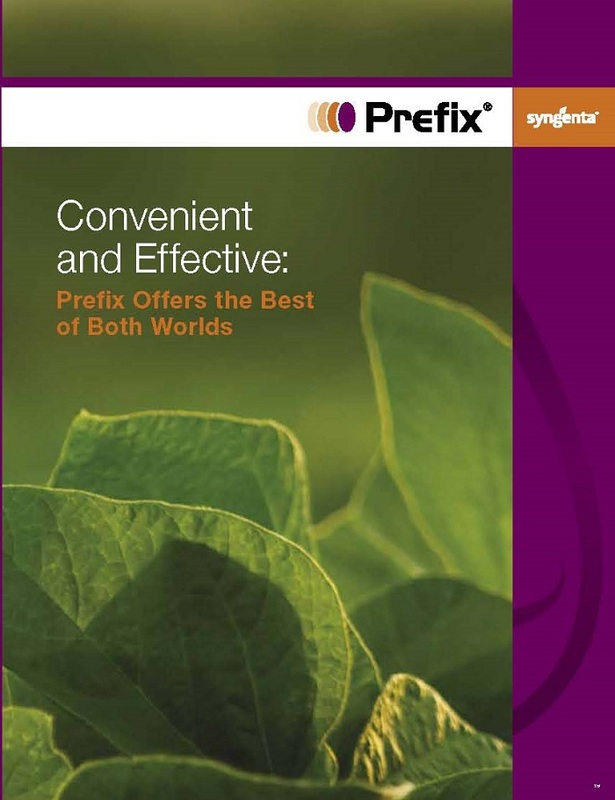 Prefix is one of several Syngenta herbicide tank-mix options available for inclusion with XtendiMax® with VaporGrip® Technology, Engenia® herbicide and FeXapan™ herbicide Plus VaporGrip Technology. Tank mixing with dicamba provides you with additional weed management options and resistance management benefits. Please visit the XtendiMax application requirements, Engenia tank mix and FeXapan tank mix pages for approved drift reduction agents. 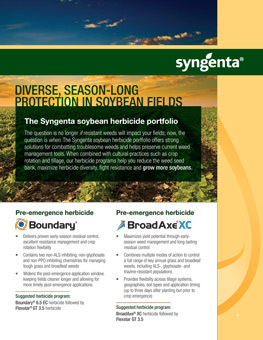 Boundary®, Prefix® and the Syngenta logo are registered trademarks of a Syngenta Group Company. Third party trademarks are the property of their respective owners.